After years of experimenting with materials and trial + error, this is what my fine-tuned process looks like today. Take a look inside what goes into the making of each piece. A bit of play and experimentation are essential parts of this ongoing process. I'm constantly drawing inspiration from my surroundings and altering past designs. Aside from the naturally white porcelain, various hues are created by mixing color directly with the porcelain clay body. The pigment is throughout which results in a deep, vibrant color. 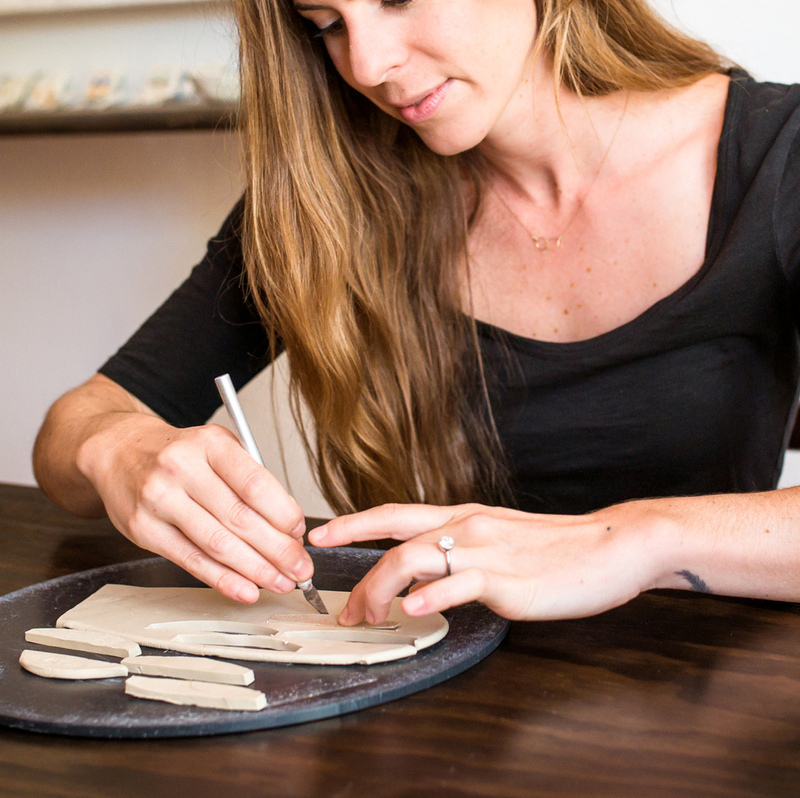 Whether a large sculpture or a tiny one, each piece begins with freshly wedged porcelain. Various techniques are used to create each form and are dependent on the project. The first of the three high firings. During this time in the kiln, all moisture leaves and the result is a dry, porous surface waiting to soak up glaze. An ultra fine sand paper is used to smooth out slightly rough surfaces resulting in one that's silky smooth to the touch. This is key for the matte surfaces that are left unglazed. I like to think of it as painting with liquid glass, which is exactly what it is. 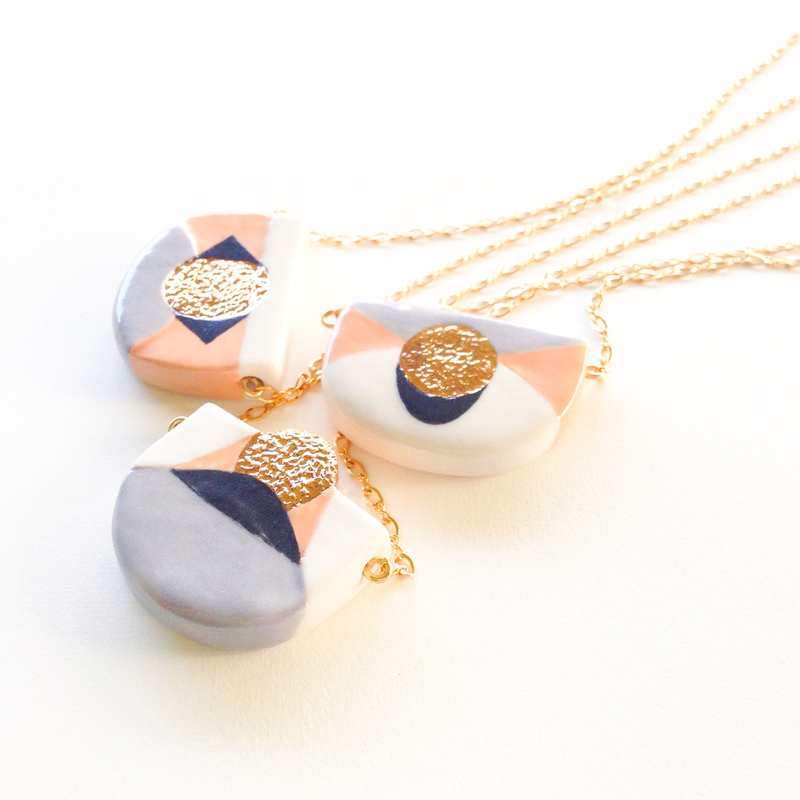 Multiple layers are carefully painted on to the surface of each piece. 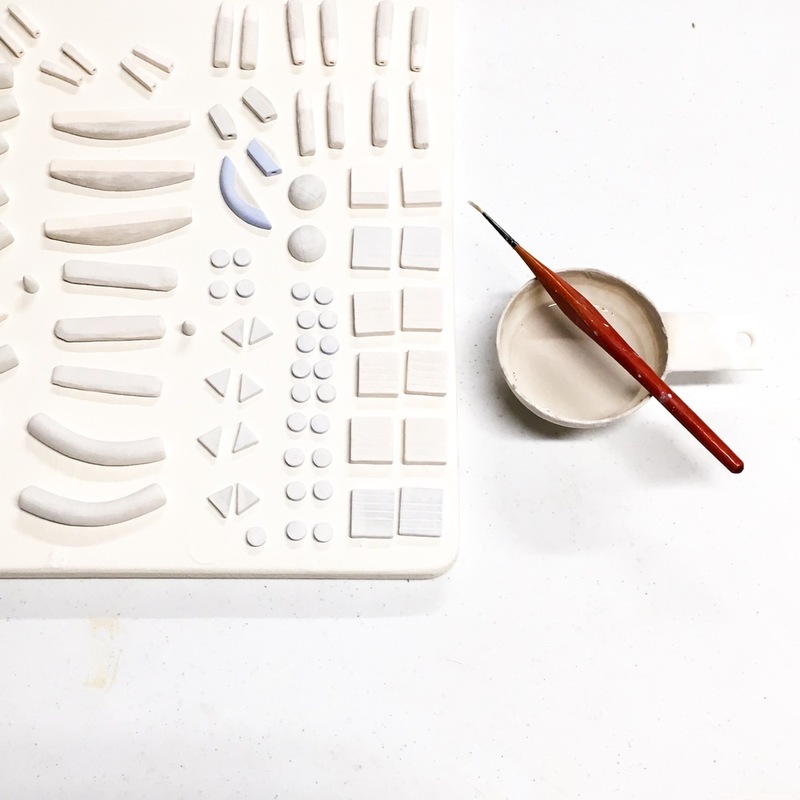 When the kiln reaches the ideal temperature of 2300ºF during the second firing, the glaze layer is fused to the surface creating a smooth vitreous finish. Metallic accents are added by strategically hand painting 22k gold or white gold onto specific areas of the final design. These pieces are then popped back into the kiln for the third and final firing, which results in the shiny gold and silver. The final step for jewelry pieces. Fine metal elements are added to complete the process. Studs get their posts | necklaces get chains | earrings get wires | cufflinks find their backings too.